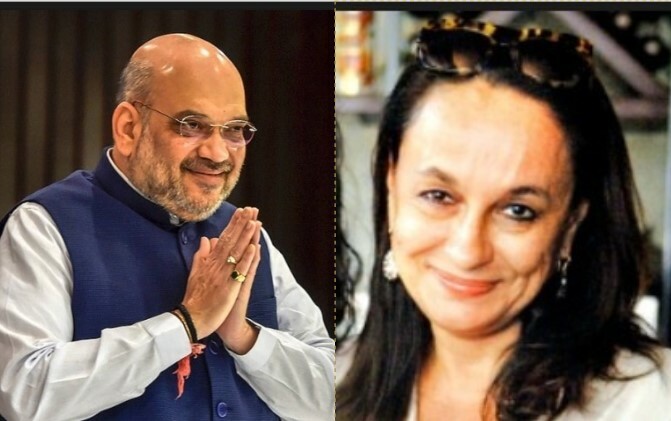 Ali Bhatt’s mother Soni Razdan has been fiercely expressing her views against the politics of hate, propagated by the BJP and members of its right-wing Hindutva family. On Thursday, Razdan lost her cool after BJP President Amit Shah threatened to kick Muslim refugees out of India. She wasn’t alone slamming Shah and his party’s hate ideology being propagated right in the middle of the Lok Sabha polls. Speaking at an election rally, Shah had sensationally threatened to implement the controversial NRC across India. He had, however, made an exception for refugees belonging to Buddhism, Hinduism and Sikhism faiths. This is not the first time Shah has spoken about his party’s dangerous plan if voted to power. Not too long ago, addressing a rally in West Bengal, Shah had assured Hindu and Buddhist Bangladeshi infiltrators to not worry about their future since the future BJP government will only deport Muslim Bangladeshis living in India. Worst thing you have ever read Soni Razdan? Haven’t you heard even worse things said by Owaisi brothers? Here goes. Owaisi Sr, who happens to be an MP of Hyderabad, has promised that by 2050 India’s population will be Muslim majority. What happens if muslims are a majority in India? India will then become an Islamic country following shariah. Remember what happened to Hindu Pundits of muslim majority Kashmir. They were thrown out out their own home land, from place of their origin. Did you people from film fraternity EVER protest or even open your mouths? NO. You never did. And then Owaisi Jr, an MLA from Hyderabad, has said that if police is removed for 15 minutes, ALL Hindus in India will be finished. This is on You tube. You can watch it. Pakistan was created for, by and of muslims as their own homeland, because they could not live Hindus. Read history. Why did they choose to stay back even after getting their own home land? Now you people want muslims to pour in India and create another Pakistan? Where will we Hindus go? In Owaisi’s India, Hindus will have to either convert or get slaughtered ( like what is happening in Pakistan now). We don’t want that to happen to us in our own country. So don’t try to deliver sermons to us Hindus. Secular Hindus and liberal Hindus , before condemning me THINK. Secular Hindus and liberal Hindus , before condemning me THINK. Why (apparently) a BJP supporter wants to be a SICKULAR and LIBTARD? Are these not the terms they use for seculars and librals ? You can not abuse seculars and librals and claim to be the same if expediency so requires.